THE BRONX, NY ― Quintairos, Prieto, Wood & Boyer, P.A. New York office trial attorneys Richard W. Berne and Malcolm X. Thorpe received a defense verdict involving a slip and fall in a parking lot directly in front of the insured supermarket. Co-defendant owned the entire strip mall and the parking lot. Plaintiff alleged falling into a hole caused by a defect in the parking lot, causing her to fall onto her vehicle. Plaintiff, who was not a good witness and did not make a good impression under cross-examination, claimed twisting her leg and falling. She sustained a torn meniscus and lumbar spine injury both of which required surgery. Deposition testimony revealed that repairs were made to the parking lot post-incident. While proof of subsequent repairs is normally inadmissible, in this instance, there was a question regarding control of the location. As a result, the defense persuaded co-defendant to stipulate that it owned the parking lot, and that in this location and timeframe, the parking lot was not an “appurtenance” to the store, and therefore not the insured’s responsibility. This was important because absent some proof of ownership of the subject location (or proof our client created the alleged defective condition) plaintiff could not demonstrate that our client owed or breached a duty of care to her. After an eight day trial, the jury deliberated for an hour returning a defense verdict for both defendants finding that the parking lot area in question was “reasonably safe” and accordingly, they had no need to consider the questions of negligence. 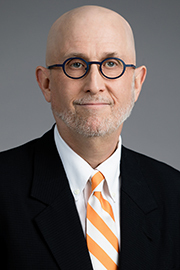 Richard W. Berne is a partner in the New York office. For the past 40 years he has represented clients and tried cases in the areas of personal injury, wrongful death, nursing home defense, medical malpractice, insurance defense litigation, insurance coverage disputes, general liability, workers’ compensation defense, criminal defense, governmental liability, and police misconduct. He is a graduate of Princeton University, and received his law degree from Boston University School of Law. Mr. Berne is admitted to practice in New York. 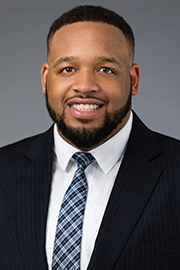 Malcolm X. Thorpe is an associate in the New York office focusing his practice on personal injury, wrongful death, nursing home defense, medical malpractice, insurance defense litigation, insurance coverage disputes, general liability, workers’ compensation defense, and governmental liability. Mr. Thorpe also handles labor and employment claims, commercial liability claims for professional liability under errors and omissions, and directors and officers, and regulatory and compliance services claims. He received his law degree from Rutgers Law School and is admitted to practice in New York and New Jersey. Quintairos, Prieto, Wood & Boyer, P.A., is the largest minority and women owned law firm in the nation with more than 370 lawyers serving clients from 21 offices in the United States and abroad across a spectrum of industries in over 40 areas of practice. Our lawyers provide representation in litigation, business, real estate and governmental law.